Be the first to share your favorite memory, photo or story of Robert "Bruce". This memorial page is dedicated for family, friends and future generations to celebrate the life of their loved one. 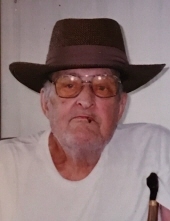 Robert “Bruce” VanVorce, 83, of Weston, OH, died November 26, 2018 at Bridge Hospice in Bowling Green, OH. He was born June 22, 1935 in Weston, OH to Donald and Leola (Armstrong) VanVorce. Bruce served in the U.S. Army. He worked as a welder in a supervisor position for Daybrooks, Schlinder Elevator and A Plus Engineering. Bruce flew airplanes when he was young. He was a gun collector and enjoyed shooting clay pigeons, he loved the outdoors, camping fishing and boating. He was also a wonderful cook. He married Kay (Dauster) June 19, 1980. She survives along with children, Pamela (John) Fronce, Debbi (Terry) Rothenbuhler, and Donald (Murissa) VanVorce, step children, Jeff (Chad) Dauster and Rebecca (Raymond) Griesinger, 5 grandchildren, 9 great grandchildren, and sister, Vivian Rose. He was preceded in death by his parents son, Randy VanVorce, and sister, Bonnie Dickey. To send flowers or a remembrance gift to the family of Robert "Bruce" VanVorce, please visit our Tribute Store. "Email Address" would like to share the life celebration of Robert "Bruce" VanVorce. Click on the "link" to go to share a favorite memory or leave a condolence message for the family.